Pointer is a reference of address of another memory location in computer. 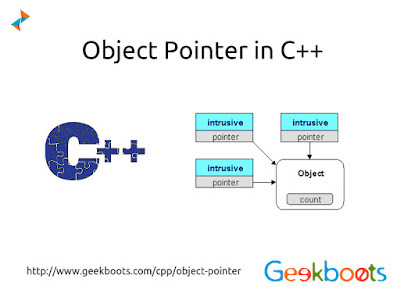 Where object pointer refer the address of an object. Member functions and variable can be access using object pointer by member access operator.